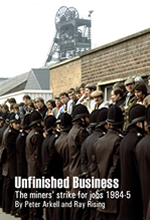 Phil Sharpe reviews Unfinished Business – the miners’ strike for jobs 1984-5. The book sets out to show how any serious struggle results in confrontation with the state. The question then arises about what is the appropriate strategy necessary to win a conflict when the forces of the state are organised in a determined manner to try and isolate and repress the struggle. In a concise manner the authors outline how this question of strategy can only be developed in the context of the balance of forces. The balance of forces were never favourable to the victory of the miners. Not only were the forces of the state mobilised to try and ensure the defeat of the strike, but also the strike was isolated by the treachery and vacillation of the leaders of the labour movement. Consequently, the false lesson of the strike was that militancy is self-defeating. Yet, this attitude of resignation has possibly been the most influential interpretation of the strike within the working class. Hence, this book is timely in indicating the energy and dynamism of strike action, which represents the capacity to develop an alternative to the process of the reconstruction of production in the interests of the ruling class. The book attempts to show that a collection of interrelated factors are required in order to realise serious and successful strike action in the contemporary conditions of a declining capitalism. Firstly, the importance of leadership. The book outlines how the old right-wing leadership of the NUM had been replaced by a new and left-wing leadership, as epitomised by Arthur Scargill, then recently elected as president of the union. Secondly, the significance of a strategy. The aims of the strike were simple and convincing. To halt the closure of any mines, except of those pits that had become exhausted. In order to realise this aim the tactic of militant picketing was utilised, and solidarity was sought from the wider labour movement. Thirdly, the role of the rank and file of the union as the bulwark and expression of this strategy. The book also vividly outlines how the miners wives and partners became an expression of this development, and of how they became crucial to the prospect of success. Fourthly, the generalisation of the strike, initially by solidarity action by the refusal of other workers to move and use coal, and then culminating in a general strike against the closure plans of the Tory government. It was this last aspect that was not realised, and the result was the defeat of the miners. The book is able to show that the miners are not an object of sympathy, and instead are to be admired for their determination to achieve the success of their aims. Hence, the miners are conceived as a subject of history, as a group of people that nearly succeeded in the attempt to realise their aims, but who were ultimately defeated because of the actions of more powerful forces. On the one hand mass picketing was not as successful as it had been in the 1970s because of the co-ordinated and planned response of the state. On the other hand, and most crucially, the miners were isolated because of the inaction of the TUC General Council and Labour Party leadership. Or to put it most accurately, the TUC and Labour leaders were more concerned to criticise the conduct of the strike, and were indifferent to the importance of solidarity. Arkell and Rising outline the context of the strike in terms of the unstable equilibrium that had developed in the economic and political situation of the UK and the world in the 1970s. The trade unions had been involved in many militant class battles, and yet had been unable to realise their aims because of inflation and unemployment. But, the various Tory and Labour governments blamed the unions for the crisis of profitability of industry. And the Tories devised a plan to try and break the so-called power of the unions. Defeating the miners was central to this strategy, and Ian Macgregor became the head of the National Coal Board in order to implement plans for closing pits and taming the NUM. 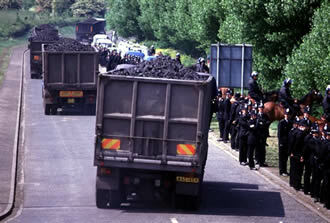 The threatened closure of Cortonwood pit led to generalised strike action, which was initially spontaneous and resulted in support from the leadership of the NUM. It is argued vehemently that a national ballot would not have enhanced the democratic legitimacy of the strike. This was because the call for a ballot was considered as a pretext for the working miners in Nottinghamshire to justify their refusal to engage in strike action. Furthermore, the militancy of the striking miners meant they were unsympathetic regarding this call for a ballot. The question was how to make the strike more effective, rather than to support methods that would have resulted in pressure for a return to work. It is a pity that the arguments about the question of the ballot are not elaborated by the authors. For this particular question did assume immense ideological importance in relation to the views expressed about the strike. Supporters of the strike could argue that the actual fact of the mobilisation of miners in order to realise their aims was an expression of democracy in action. This is an argument that shows democracy is realised in many different forms, and does not necessarily and dogmatically require the calling of a ballot. In contrast, the call for a ballot was raised by those who were opposed to the strike, and so in practice were hostile to the actual realisation of class militancy. However, as the book outlines, the leadership of the union was prepared to call a ballot if the national conference had been in favour of such an action. Thus the ultimate attitude to adopt was one of flexibility, because if a ballot had been agreed then the issue would have been to campaign in order to win the ballot. The point is that the actual circumstances of the strike meant that a ballot conducted after it had developed would have had a demobilising effect. But in other circumstances, especially when support for strike action is still emerging, the question of a ballot may be necessary to develop and enrich militancy. In other words, it would have been useful if the authors had clarified themselves on this point, because their views could be interpreted to mean that they are against ballots on principle, which is surely not their intention. 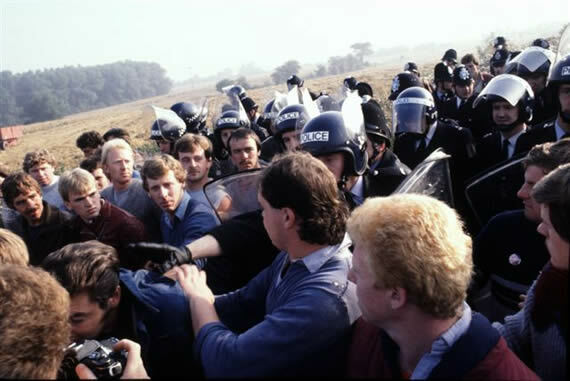 The authors of the book are not afraid to be brutally honest and argue that mass pickets like Orgreave failed because of the effectiveness of state repression. The authors do not articulate whether this failure was inevitable or could have been avoided under the circumstances. In analysing this issue, Trotsky called for the formation of workers’ defence squads in order to protect strikes against the forces of state repression. 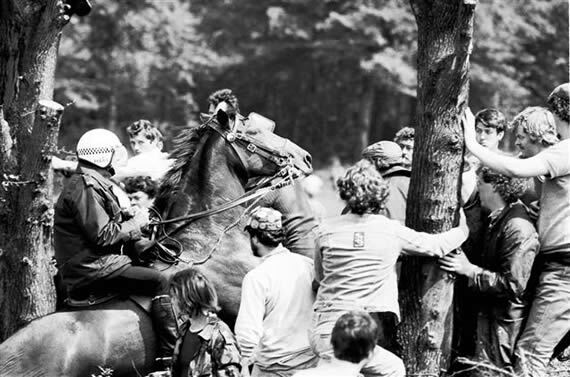 Such a perspective would seem to be very relevant in relation to the situation at Orgreave. The end of the strike did not mean that militancy was futile. Instead the book concludes succinctly and powerfully that: "The strike showed that given a leadership that told the truth and fought on principles, workers would fight heroically and tenaciously for their jobs and rights. And the year long campaign also demonstrated the reverse - a leadership that is tied to the status quo can never challenge the system of which it is a vital part." The book outlines how the circumstances of an end to the strike without an agreement made it easier for the employers to go onto the offensive, but disputes that the strike was a defeat. This is an ambiguous conclusion, and is contradicted by the book's own analysis of the closures in the NUM and the treachery of sections of the leadership. Essentially, the authors establish that the NUM after the great strike was never in the same position of being able to effectively challenge the Tory government. 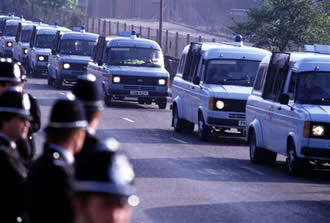 The protests against the pit closure programme of the early 1990s was based upon the sympathy of a public disgusted by the vindictiveness of the government. It was not possible to translate this sympathy into militant action because of the effects of the strike of 1984-5. The authors sum up the enormity of the strike and what it meant in terms of the balance of class forces: "The end of the miners' strike signalled the start of a long slide towards the relative impotence of the trade unions under a leadership which had thrown in the towel." Consequently, the defeat of the miners allowed the overt class collaborationist policy of “New Realism” to become the “common sense” of the trade union leadership. This has meant the union leadership have offered no alternative to the development of globalisation, privatisation and the restrictions imposed by the anti-union laws. The election of a Labour government in 1997 did not lead to any change; rather the process of accommodation to the state intensified. The trade union bureaucracy has become the main bulwark of the state. 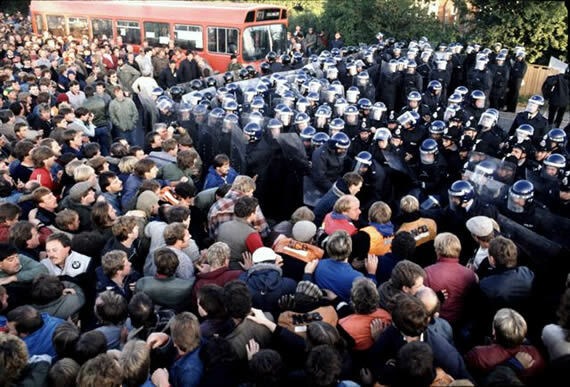 The authors are not content to end the book with a negative conclusion about the aftermath of the miners’ strike. Instead they are aware that the defeat of the miners has resolved nothing in terms of the contradictions of society. This means that these contradictions of the capital-labour relation have only intensified because of the failure of the miners strike to resolve them in a progressive manner. Social unrest has become more acute as the condition of recession deepens and Parliament has been exposed as an excuse for corruption. A programme of demands, which is based on the Peoples Charter for Democracy of A World to Win is presented as providing an historical alternative to the alienating limitations of capitalism. Such a programme includes the demands to extend democracy through increasing powers of communities, ecological safeguards and rights to better housing and healthcare. Defiantly the authors conclude that: "Today, new generations and other communities will, like the miners, rise to the challenge and create a leadership that sets its eyes on the main prize: the conquest of power." Unfortunately, this necessary conclusion is not connected to answering the major question of the moment. How do we overcome the crisis of leadership and lack of effective organisation and create the conditions where workers are willing and able to challenge the economic and political power of capitalism? We have to address the lack of influence of Marxism in the working class, which has meant that the discontent with capitalism has often been mediated by reactionary influences. 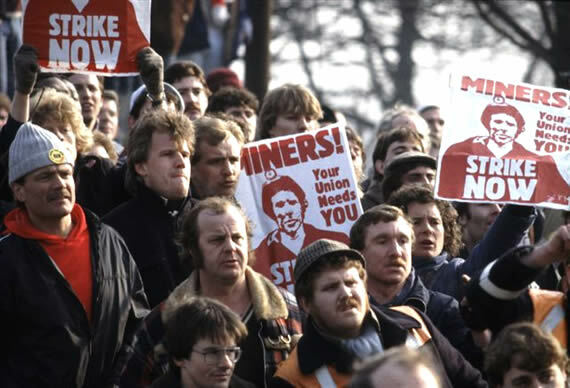 In contrast, the political clarity of the miners’ strike was connected to the influence of groups like the Workers Revolutionary Party, which provided influential coverage, and so led to the formation of a potential Marxist culture within the mining communities. With the demise of the miners, who could be considered worthy expressions of the vanguard of the working class, this Marxist culture has effectively dissolved and disintegrated. This organic relationship needs to be re-established by the effective formation of a Marxist party. Failure to carry out this task will mean that the crisis of leadership within the working class will continue, and so the contradictions of capitalism will continue to intensify rather than being resolved. The omission of any discussion of this issue in the book is unfortunate. The second part of the book consists of a collection of photographs of the strike. This invaluable collection is an often moving expression of the determination of the miners and their families. Even the photos showing a Christmas party at one of the collieries registers quiet defiance and the willingness of struggle. Some of the photos are both distressing and heroic as they show the extent to which the miners were prepared to oppose a repressive state apparatus. This collection of photos cannot be praised enough. As the book title indicates, the miners’ strike was unfinished business and it is up to contemporary generations to realise its promise through a successful struggle against the capitalist state and the working for an alternative historical future.